The Monsterpalooza convention announced on Monday that creature and character designer Shinji Nishikawa will attend the convention. He will be taking fan requests and sketching original monster artwork. Nishikawa has worked on many of Toei's tokusatsu (special effects) productions as a creature designer. He has done design work for the Godzilla vs. Biollante, Godzilla vs. King Ghidorah, Godzilla vs. Mothra, Godzilla vs. MechaGodzilla, Godzilla vs. Destroyah, Mothra 3, Godzilla 2000, Godzilla x Megaguirus, Godzilla: Tokyo SOS, and Godzilla: Final Wars films. He is also credited as the original creator of the YAT Anshin! Uchu Ryokou anime, drew the art for the Chōseishin GranSazer manga, and design work for the Death Note and Kurayami Santa anime. Other Godzilla production staff that will be present during the convention include Haruo Nakajima, Keizo Murase, and Shinichi Wakasa. Monsterpalooza will take place at the Pasadena Convention Center in Pasadena, California on April 22-24. I like his work, pretty cool designs, especially his super deformed versions of Godzilla & Co. Does he take commissions? I would honestly pay for his work. 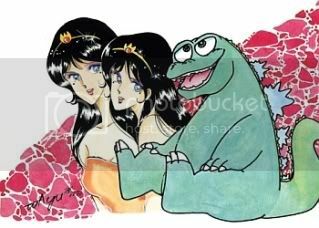 Something I would love to ask him for a commission is he making a version of the Hanna Barbera Godzilla cartoon with 80's anime art style, like a "what if?" scenario were the Godzilla Power Hour was made in Japan instead of the U.S.A. and changing the HB Godzilla with Showa Godzilla and Godzuki with Minilla. the human cast can be the same, but looking like characters from 80's anime instead of american style characters. Mac wrote: Does he take commissions? I would honestly pay for his work. At a previous Monsterpalooza he took commissions. 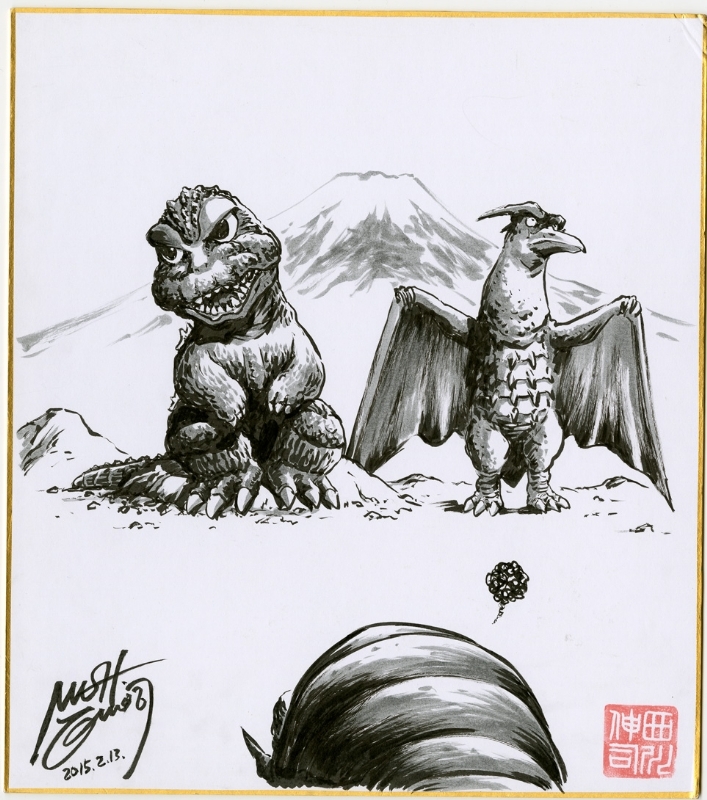 Haruo Nakajima, Linda Miller, Kaizo Murase and Shinichi Wakasa will also be attending Monsterpalooza this April. Guess you didn't read my post directly above yours . . .